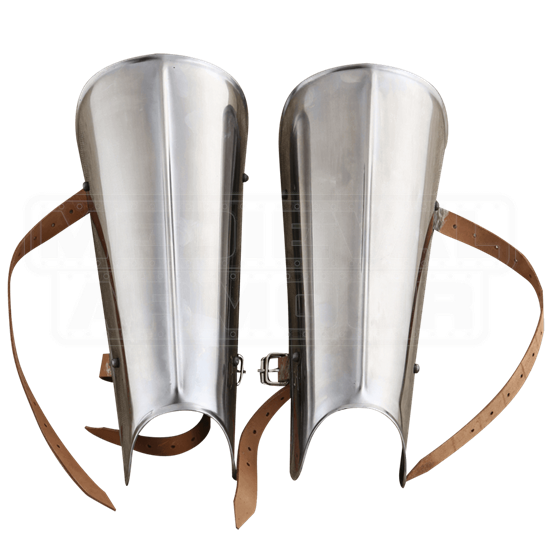 If you are heading into battle, then you can get that you will want to keep your legs armored and safe. After all, cutting an opponents legs out from under them is a sure-fire way to win. These Economy Steel Greaves are a good defense against that. 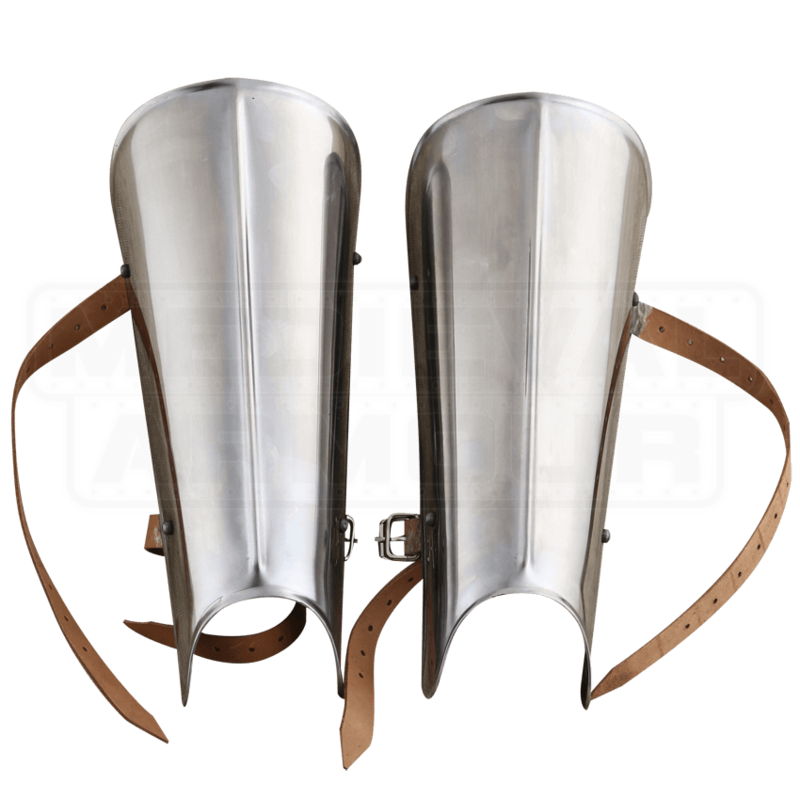 These greaves are made entirely out of fine 18 gauge mild steel, and they feature rolled edges to make them a bit more comfortable to wear. The 18 gauge construction makes the greaves thick enough to offer good, hardy defense, while still being light enough to not hamper your mobility when worn. The greaves also have rounded cut-outs on the bottom, so that they will not impede on your range of ankle or lower leg movement. The leg guards are worn via leather buckles straps, which give the armor an adjustable fit to suit almost any warrior. Hardy and effective, these Economy Steel Greaves not only work well, but they also look great - and all this comes in an affordable package that allows any warrior to have the protection that they not only need, but deserve, too.